Our on-site chemistry analysis can be utilized for those that would like the composition of their material, but have pieces too large or in too high of volume to send into the lab. We use the same technology as our in-house lab spectrometer, but in a portable form. 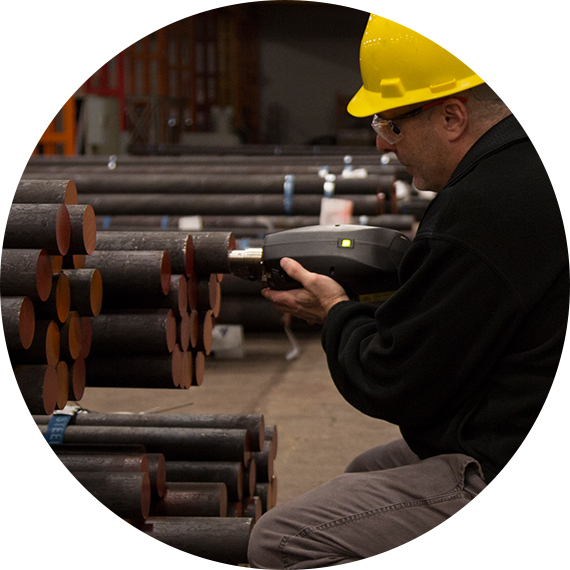 Its portability allows us to perform sorting or grade identification on bundles, coils, or large parts at your facility.